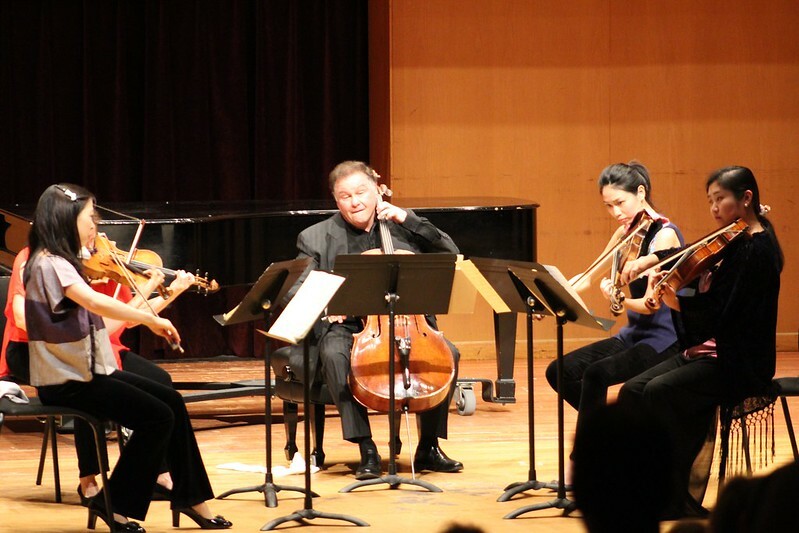 Formed in 2013, the Verve Chamber Players is an Ensemble-in-Residence in the Hugh A. Glauser School of Music. Comprised of five distinguished faculty members of Kent State University, players include Jung-Min Amy Lee, Associate Concertmaster of The Cleveland Orchestra, Assistant Professor of Violin and Artist-in-Residence at Kent State University; Cathy Meng Robinson and Keith Robinson, members of the Miami String Quartet, Assistant Professors of Violin and Cello, respectively; Joanna Patterson Zakany, member of The Cleveland Orchestra’s viola section and Assistant Professor of Viola; and Donna Lee, Professor, Steinway Artist and Coordinator of the Piano Division. Known for their distinctive performances with artistic vitality and vigor, the Verve Chamber Players have been praised for their “virtuosity and commitment” (The Plain Dealer). Every year they deliver spirited chamber music performances throughout northeast Ohio.